Local fiddle player Katie Lawrence hosted the annual Bree Fiddle Workshop in the Atholl Room at the Centenary Centre, Peel, focusing on traditional playing techniques, ornamentation, arranging and performance skills. Open to secondary school pupils, fiddle players tackled Manx tunes, waltzes and reels from further afield and a selection of Katie’s own compositions. Students then gave a short performance at the close of the workshop for family and friends. 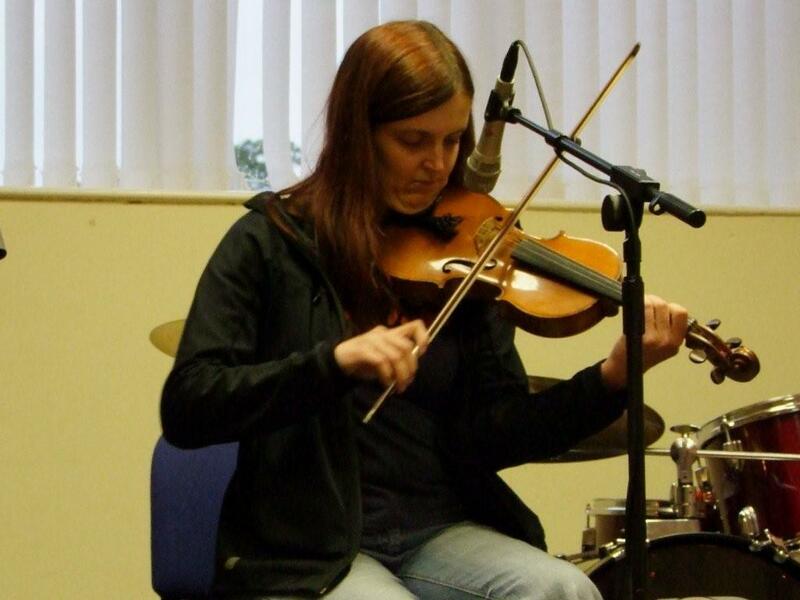 Peel based Katie Lawrence holds an MA in traditional music performance from the University of Limerick, and is a primary school teacher who also teaches fiddle, whistle and piano. In her spare time Katie performs with local folk-rock band ‘The Ballaghs’, Manx singer-songwriter Katherine Crowe and as a duo with her sister Kirsty Lawrence. Bree was established by the Manx Heritage Foundation to give opportunities for young musicians, singers and dancers interested in Manx traditional culture. Meeting each month for informal music sessions at Green’s Restaurant in Douglas, if you would like further information about ‘Bree’, or attending educational workshops throughout the year, contact Chloë Woolley at manxmusicspecialist@mhf.org.im or telephone 695784.